So we’ve completed two weeks of the 2014 NSP Euro Tour and already there’s been some very nice action. 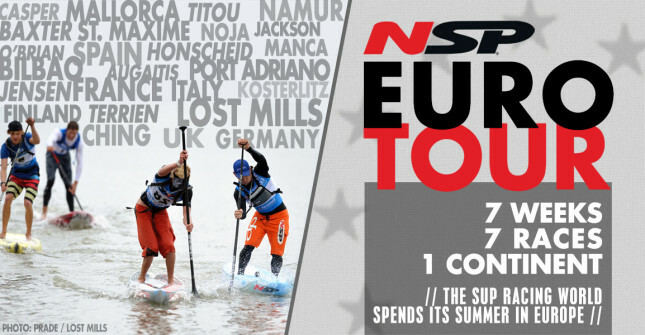 However it’s not just about the headline international acts, the Euro Tour is all about SUP racing in Europe, period. We wanna showcase the slightly less elite, but no less awesome races happening around the continent. Because there are a lot of them. As the name suggests, the SUP Alps Trophy series is all about racing at altitude in the gorgeous Alps region. The four-race tour stops in Italy, Germany, Austria and Switzerland over the next few months. On Saturday it was Italy’s turn to host the opening race, with a solid field making the trek to “Lago di Caldaro” (or Kalterer See, depending on which side of the border you came from) in the far north of the country. Stephan Gölnitz from the German SUP Mag was on hand to capture the race and shared these epic photos on Facebook.